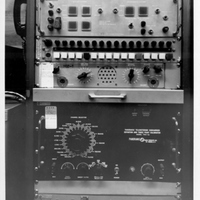 Used during the launches of the Mercury-Atlas rockets—from the first American to orbit earth, John Glenn (b. 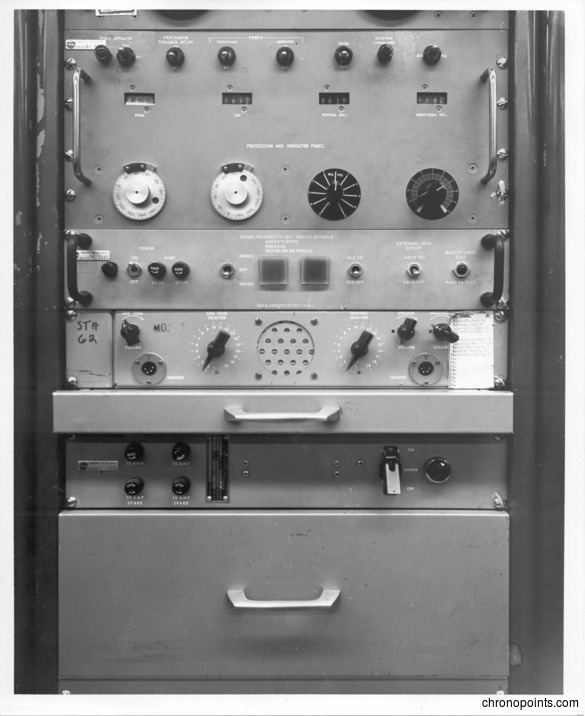 1921), to the last Project Mercury flight with Gordon Cooper (1927-2004), Jr.—this was one of the workstations in the blockhouse at Launch Complex 14 (LC-14). 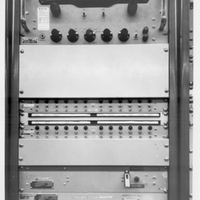 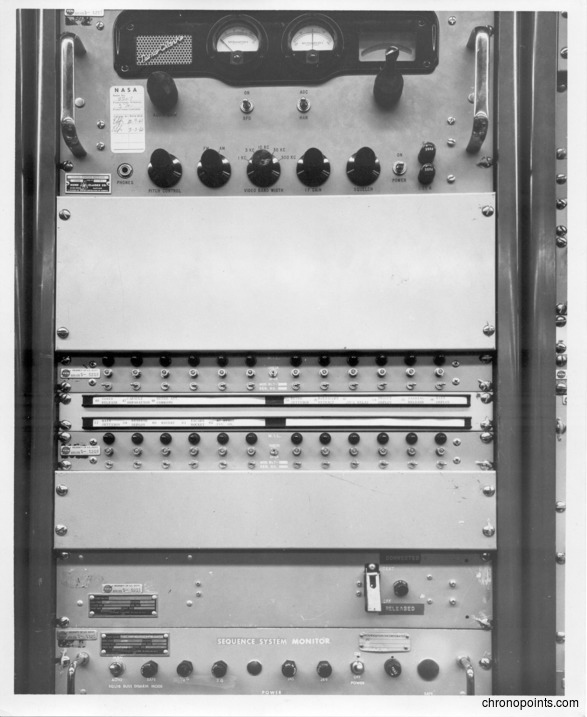 Electronic equipment used in the LC-14 Blockhouse was placed in racks to maximize space utilization, similar to what one might see today in a computer server room. 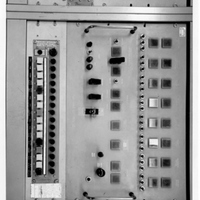 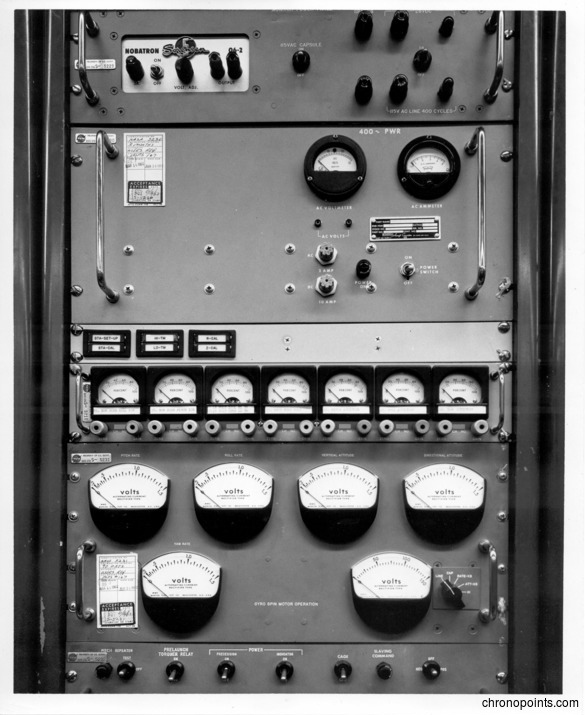 One main difference is that the electronics of Project Mercury era were analog rather than digital, and the displays and controls were analog as well, such as analog meters and knobs. 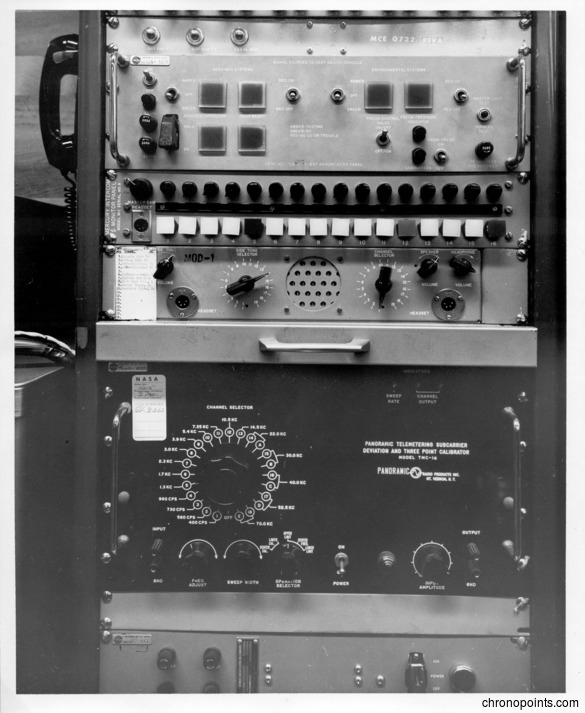 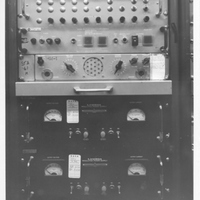 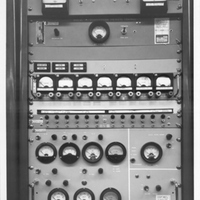 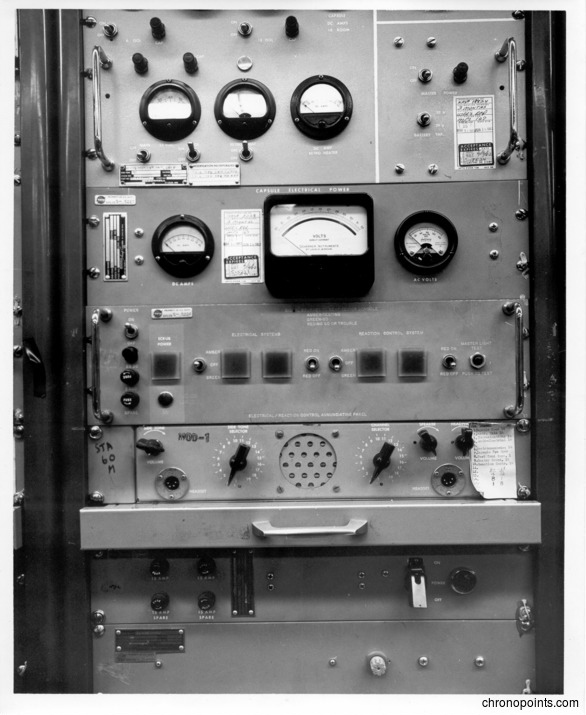 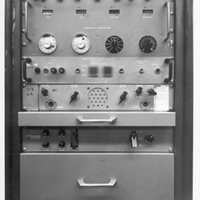 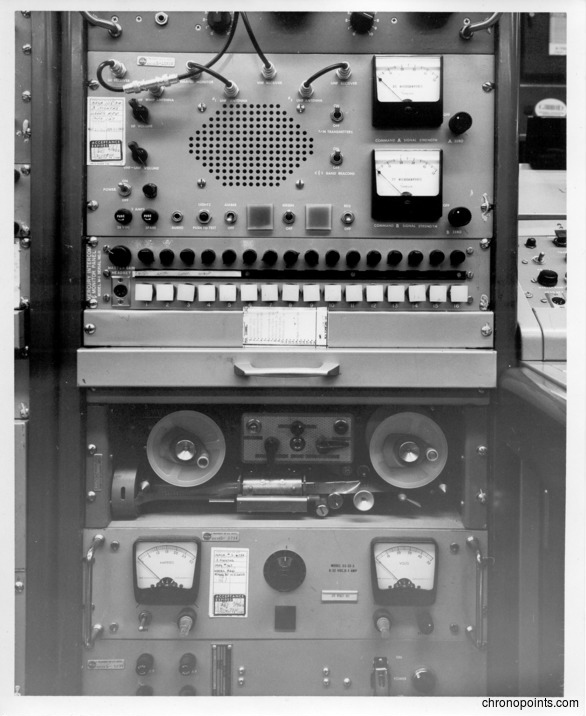 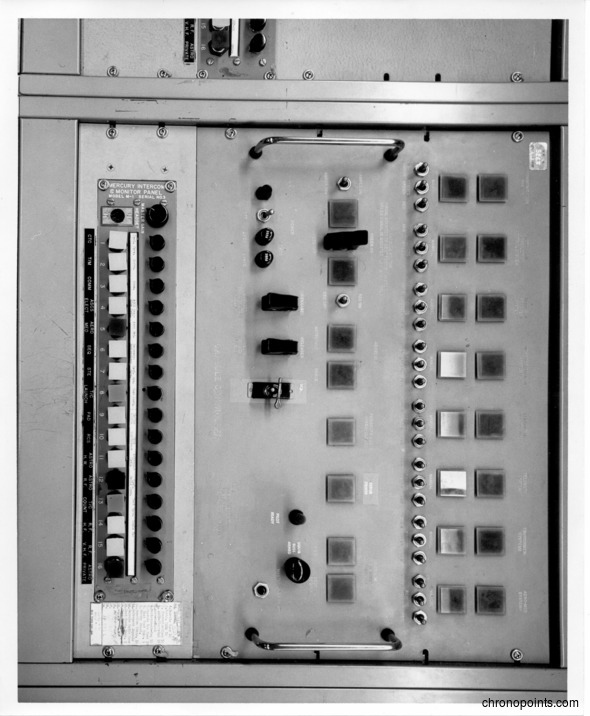 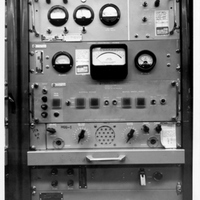 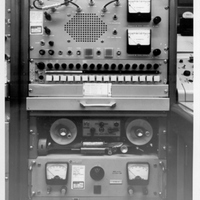 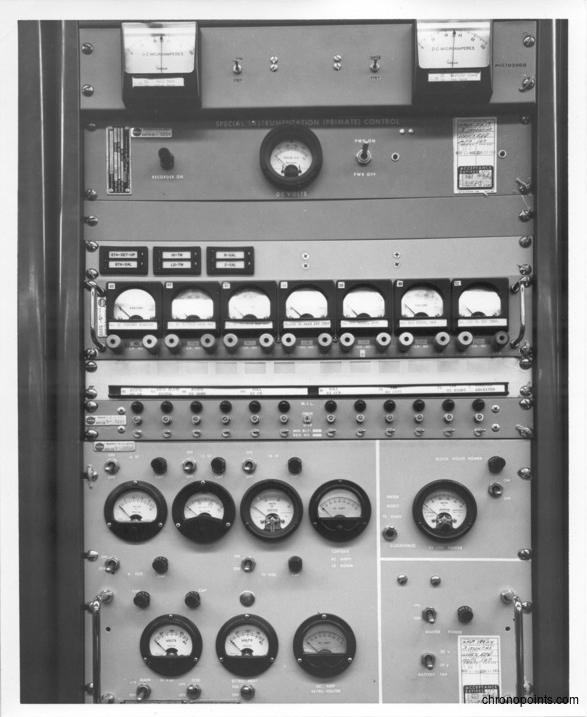 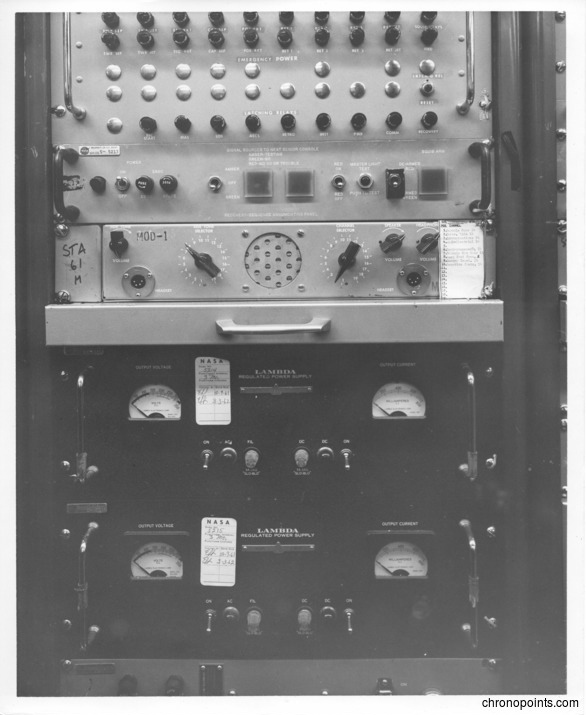 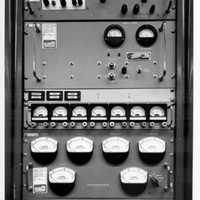 “Workstation Containing Analog Electronics in Rack at the Cape Canaveral Air Force Station Launch Complex 14 Blockhouse.” RICHES of Central Florida accessed April 25, 2019, https://richesmi.cah.ucf.edu/omeka/items/show/4964.